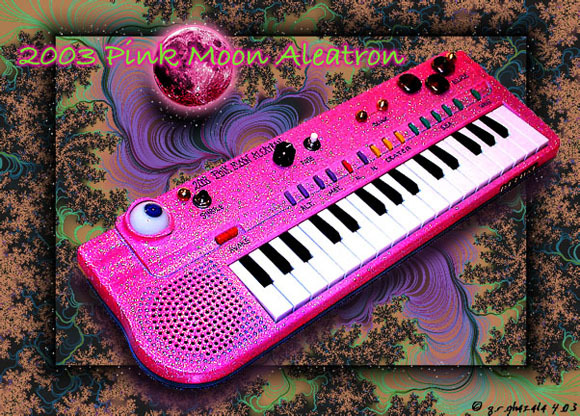 Pioneering circuit bender Reed Ghazala has originated such oddball creations as the brilliant Aleatron keyboards (shown). Once innocent low-end Casios and the like, Reed’s circuit-bent mutants generate aleatoric music as you play them and, of course, look like they escaped some odd extradimensional alien music factory. Check out Reed’s instrument sales gallery and bent sound pages (with sound examples for more. Reed didn’t want to promote his book, but I can’t wait to read it, so I will! Circuit-Bending : Build Your Own Alien Instruments (ExtremeTech) is due in July and you can preorder it now from Amazon. (Preorder from our link or the image below, and I promise to put any nickle-and-dime revenue into HTML improvements here on CDM!) Reed’s book will walk you through how to build your own instruments. By then I should be finished with my own book, so I’m looking forward to some free time for instrument building — and whacked-out bent jamming! I like the subway compatibility of a printed paperback, but lots of information is available free, too. Read Reed Ghazala’s Art of Circuit Bending for an excellent introduction. And if you want to share your creations with the CDM world — including those of you new to this who want to brag about your first exploration — please feel free to contact me! Or maybe I’ll see you this week at the Tank.